The research will be carried out by two UK universities and could also help astronauts who are sent on long missions. Professor Hans Degens, who is leading the work at Manchester Metropolitan University, said: “Artificial gravity could help astronauts to maintain muscle mass in space and help back here on Earth too by preventing severe muscle degeneration in hospitalised patients. “For hospital patients it could greatly improve their recovery during rehabilitation and after they leave.” A total of 12 healthy men and 12 healthy women are expected to take part in the research. The volunteers will be subjected to 60 days of bed rest, mimicking the effects of microgravity space conditions. 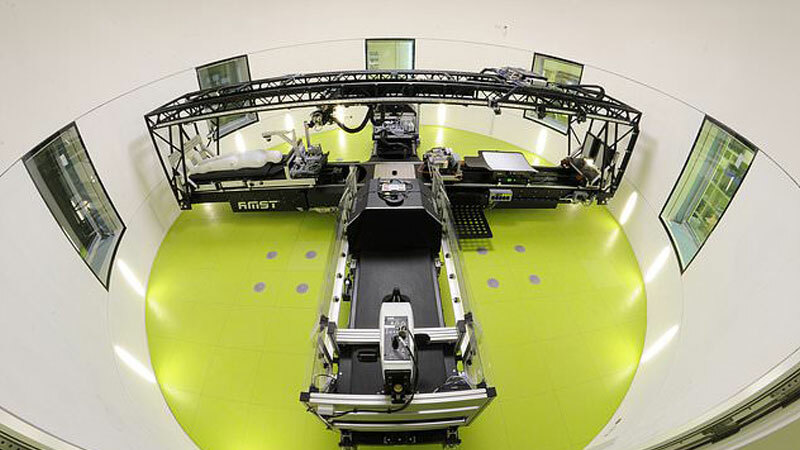 Some of the group will spend 30 minutes every day lying flat in the human centrifuge as it spins. Researchers will carry out a series of tests and examine muscle degeneration, as well as ways to prevent lower back pain. “It has benefits on Earth too, helping the thousands of patients who develop muscle weakness from lengthy stays in a hospital bed. “We will need to embrace new technology like this to meet the needs of our ageing society.” The research is backed by the UK Space Agency and £500,000 has been awarded to Northumbria University and Manchester Metropolitan University to carry out the project.